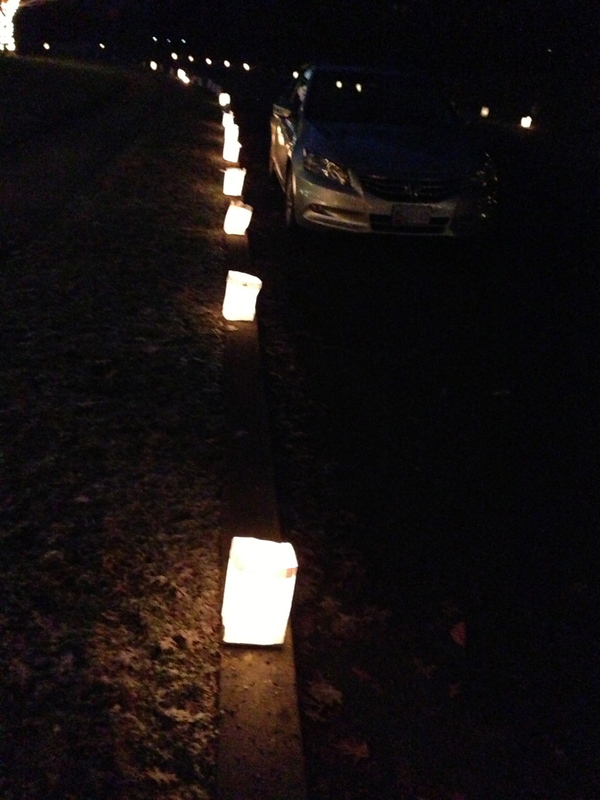 Clump #126: Get the luminaries set out. 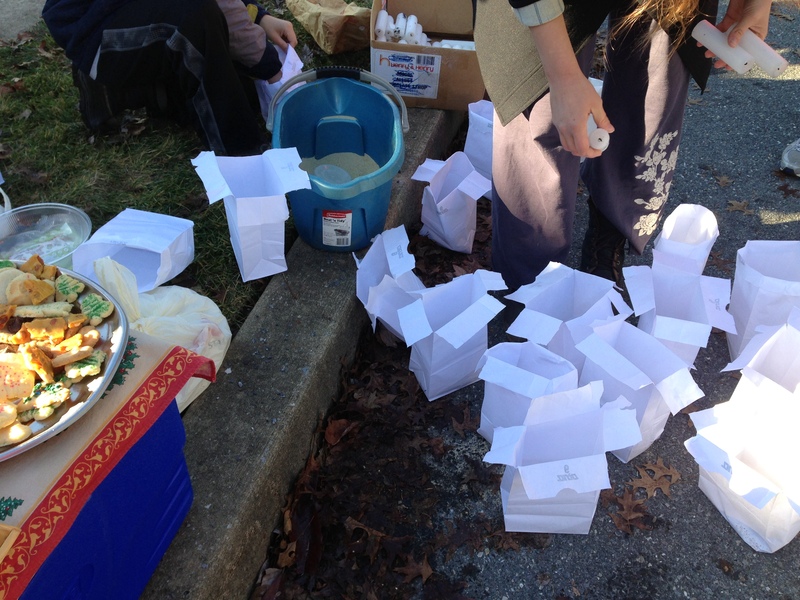 Another kind of a party took place this morning when most of our neighborhood gathered for the annual Christmas Eve setting out of luminaries. 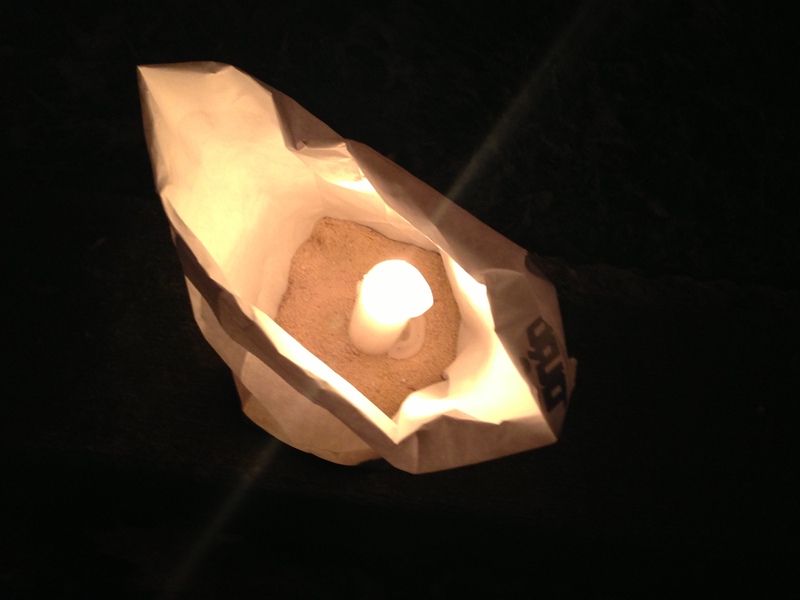 I had gotten the bags and candles … I thought we had enough sand, but needed to make a last-minute trip to the hardware store for more. Cookies and hot chocolate fortified the troops (left-over cookies from last night’s ladies’ soiree). 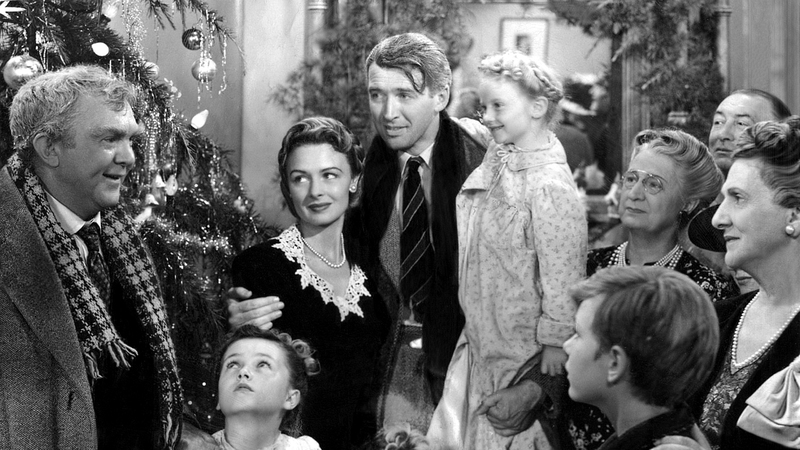 My older daughter, a dear friend, and I escaped the Christmas Eve to-do lists to visit Bedford Falls by way of the movie, It’s a Wonderful Life, at a theater. By the time we got back, we discovered that the luminaries had been magically lit.